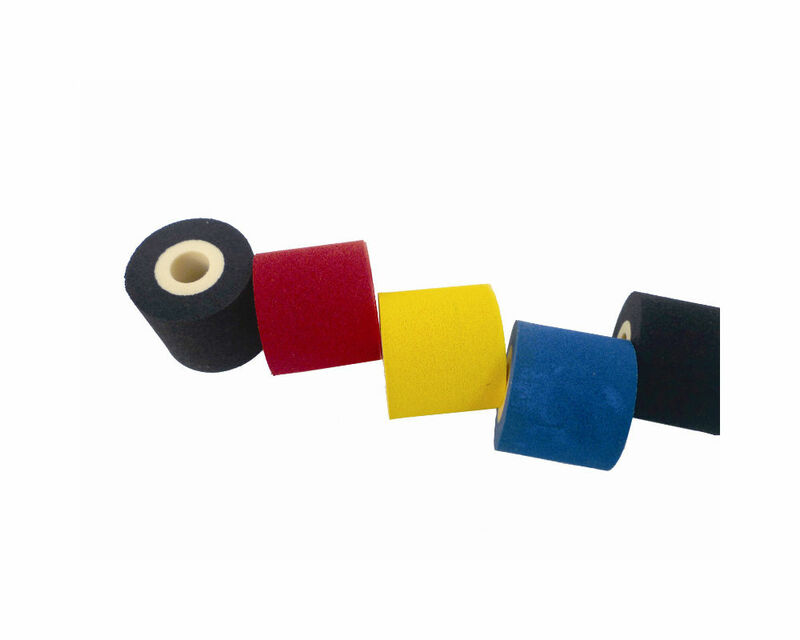 30mm Ink Rollers — Sealer Sales, Inc.
Our dry ink coding ink rollers are specialized foam rolls that are friction loaded with a variety of hot melt inks for use in our dry ink continuous band sealers. Our ink rollers can perform from 248⁰F-302⁰F (120⁰C-150⁰C). We offer two different sizes, 15mm and 30mm, as well as four different colors: black, blue, red, and yellow. Our hot ink roller should provide approximately 50,000 imprints but this will vary significantly by number of lines, characters of print, and temperature used during printing. For use with our band sealer models, HL-M810, FRM-1010 Impresse and FRM-1120 series. Note: Our ink rollers will also work on the Markem-Imaje ink roll printers.